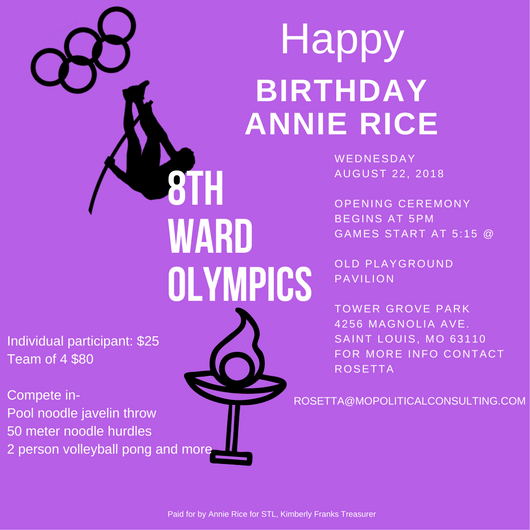 Join us for Annie's Birthday in Tower Grove Park! This isn't another boring political fundraiser. Bring your friends and your family and compete for the Olympic Gold.